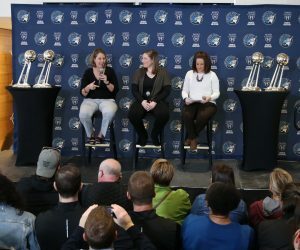 COLORADO SPRINGS, Colo. (March 14, 2018) – A trio of talented and successful women’s basketball head coaches – Dan Hughes (Seattle Storm), Cheryl Reeve (Minnesota Lynx) and Jennifer Rizzotti (George Washington) – have been selected to serve as assistant coaches for the 2018 USA Basketball Women’s National Team. 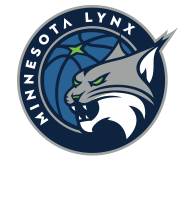 The coaches will begin working with the USA National Team during its April 24-26 training camp in Seattle and return in September to aide USA head coach Dawn Staley (South Carolina) through the 2018 FIBA World Cup of Basketball. Hughes, Reeve and Rizzotti were selected by the USA Basketball Women’s National Team Steering Committee and approved by the USA Basketball Board of Directors. Additionally, the USA Basketball Women’s National Team Player Selection Committee has increased the USA National Team pool to 34 athletes. The six additions attended the USA’s Feb. 9-11 training camp. The 2018 USA World Cup Team is expected to be selected from the USA National Team pool, and the 2018 FIBA World Cup will be held Sept. 22-30 in Tenerife, Spain. The six additions to the USA National Team pool are: Allisha Gray (Dallas Wings); Chelsea Gray (Los Angeles Sparks); Tiffany Mitchell (Indiana Fever); Brittney Sykes (Atlanta Dream); Sydney Wiese (Los Angeles Sparks); and Elizabeth Williams (Atlanta Dream). “Anytime that you take on such a great task of trying to build on the success of USA Basketball, you have to have staff chemistry,” said Staley. 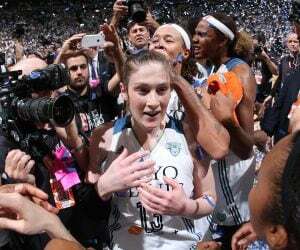 “I’ve worked with all three, so that’s instant chemistry. We know how each other operates, and everybody works in a first class and a high-energy way, and I see us taking the reins of what previous staffs have accomplished into a successful World Cup appearance. 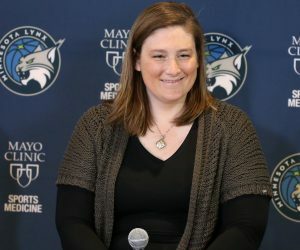 “The committee selected these three coaches because we felt that they were not only successful coaches with their own teams, but have solid USA Basketball experiences,” said Carol Callan, chair of the USA Women’s National Team Steering Committee and USA Basketball Women’s National Team director. 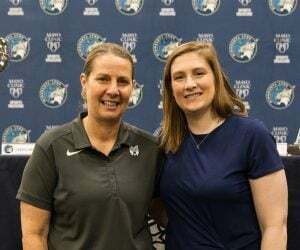 “When contemplating their selection we knew that we wanted to put together a coaching staff that covers all areas of team preparation and one that has great staff chemistry. Not only do these three possess a wealth of basketball knowledge, they work well together and will compliment Dawn’s coaching style. All three have had a large hand in the past successes of various USA national teams, whether it be as a coach or committee member, and they possess a deep knowledge of the international game. We feel very strongly that this coaching staff has what it takes to help lead the USA to another FIBA World Cup gold medal.